Deliveroo has launched a new subscription service in Hong Kong, catering to customers that require frequent deliveries. Deliveroo Plus – priced at HK$98 a month – will provide customers with unlimited free deliveries within Hong Kong. Hong Kong is the latest location to launch Deliveroo Plus, which has already been implemented in other regions, including Singapore and the UK. On Tuesday, the service was launched in Australia. According to an interview with Lo from South China Morning Post, the campaign is expected to boost monthly revenue by at least 20% in Hong Kong. 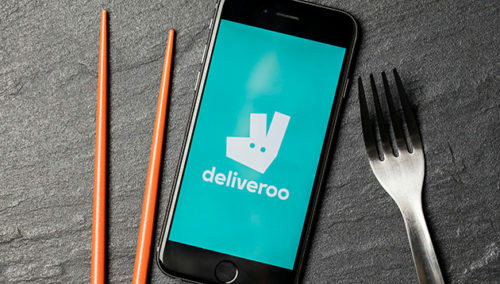 As delivery fees are one of the hurdles that make customers resistant to ordering food to their doorsteps, Lo also said discounts or free drinks would be included as the Deliveroo Plus service evolves. Subscribers of this service could even receive deals for partner restaurants as well. An option to sign up to the service will be made visible to HK customers at the regular Deliveroo checkout screen. Details on the service are also available in the ‘Account’ section of the app and website. "The real benefit in being an independent agency? You can really swing for the fences, without worrying about breaking a window.".. In the first phase from 2017 to 2019, the collaboration will focus on cloud computing, smart transportation, smart tourism, smart ..